#51 - John Wilder: A Creative Force with Three Lives • Where Hollywood Hides... the home of classic TV, movies, music, & celebrities! 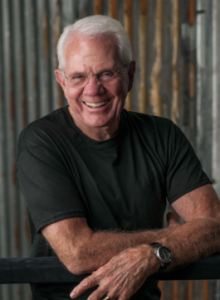 Few showbusiness professionals can lay claim to the track record of acclaimed TV writer and author John Wilder. Having amassed hundreds of credits as a writer and producer for his work in television and film, John is the creative force behind such iconic television fare as Spenser for Hire, Return to Lonesome Dove, The Streets of San Francisco, The Yellow Rose and the epic adaptation of James Michener’s Centennial. 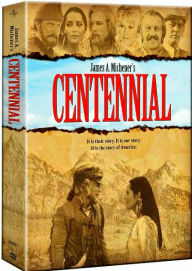 Centennial: the most ambitious mini-series in TV history! 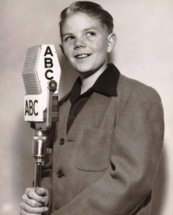 In this informal conversation with Bob & Suzanne, John recounts his very early start as a child actor, landing a gig as “the youngest announcer in radio” and as a regular cast member on The Jack Benny Show. You’ll hear how John worked his way into television and film acting, appearing in early teen movies and as a regular guest performer on dozens of shows like Broken Arrow, Wagon Train, and The Real McCoys. But John’s overall creative instincts were stronger than his acting ambitions. Chuck Connors with the young writer. 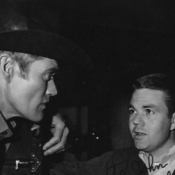 As so often happens in show business, it was a personal connection–this one with Chuck Connors, star of TV’s hit western The Rifleman—that led to his first television writing gig. 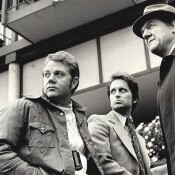 From that point on, John wrote and produced some of the most iconic TV series of the era, winning multiple Writers Guild of American and Emmy nominations, the Chicago International Film Festival Award, a pair of Western Heritage awards, and a trip to the winner’s circle for Outstanding Teleplay for Long-Form Series at the Writers Guild of America’s Awards. Listen carefully to this interview, and you’ll hear John outline for you his blueprint for Hollywood success and creative longevity. 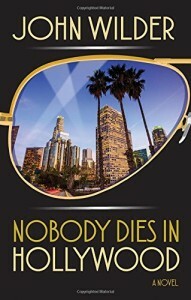 You’ll also get the inside story on Nobody Dies in Hollywood, John’s gritty debut novel–a compelling and rapid-fire read that rubs the reality of headline crimes against the underbelly of Hollywood at its glitzy best and introduces a uniquely contemporary hero into the literary private detective genre. This candid interview tells the unique story of John Wilder, a man who has literally “led three lives” with careers as an actor, producer-writer, director, and now as a major novelist. He’s truly a remarkable talent, and hearing him tell his own story is both entertaining for fans of his work and inspiring for those hoping to follow in his footsteps.